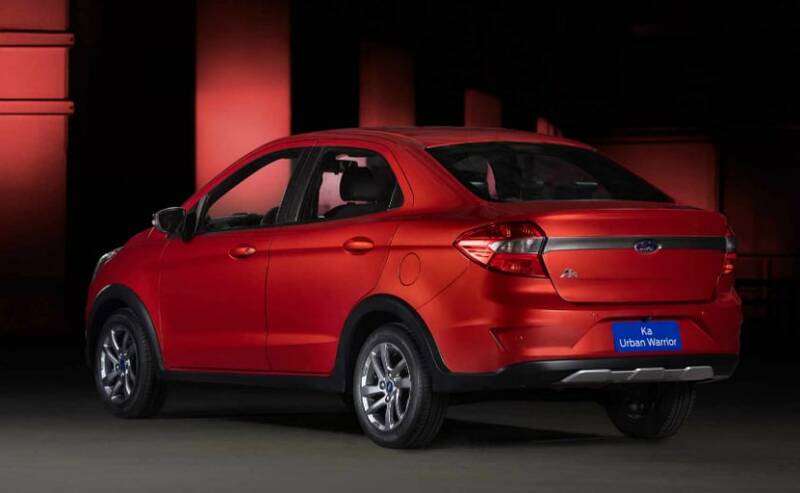 Ford recently updated with the Figo Aspire subcompact sedan in India with a new front end that included a set of new bumpers and a new grille. 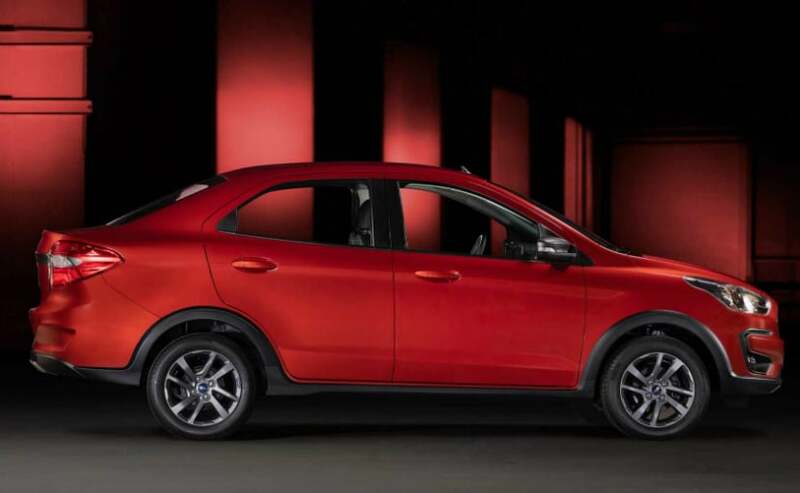 A few months ago though, Ford had also launched the Ford Freestyle - essentially a cross hatchback version of the Figo hatch. And now, Ford Brazil has taken the cars and merged them into the cross version of the Aspire - the new Ford Ka Urban Warrior Concept. The Urban Warrior has been showcased at the on-going Sao Paolo Auto Show in Brazil, and as expected, is a cross version of the standard Aspire sedan that we get in India. 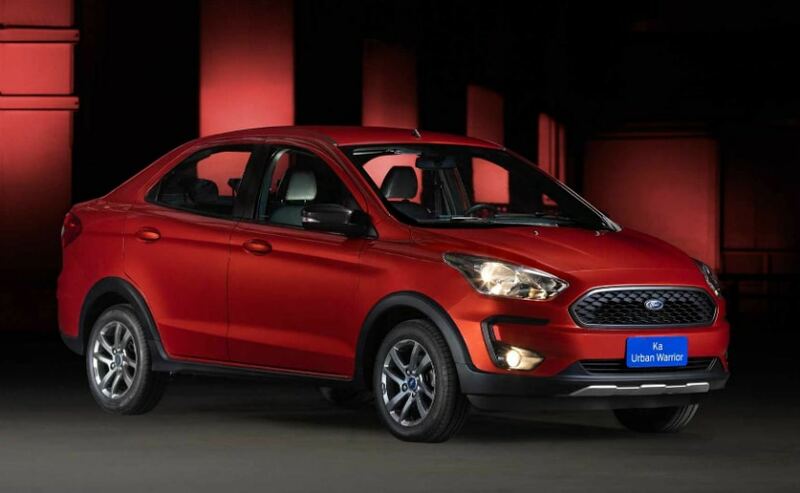 The Ford Ka Urban Warrior Concept (quite a mouthful that name...) gets identical styling up front as compared the Freestyle we get here in India. The bumpers get the add-on black plastic classing treatment along with the silver skid plates and the grille has been blacked out for the concept too. The wheels too are identical to the ones you get on the Freestyle, 15-inch and a chunky split 4 spoke design. And the same design elements continue around the side too with an add-on plastic cladding on the side skirts and on the fenders. Around the rear, the Ford Ka Urban Warrior Concept also gets the black and silver plastic cladding on the bottom while everything else essentially stays about the same. Under the bonnet, the car is said to be powered by a 1.5-litre naturally aspirated engine that makes 136 bhp of peak power and is mated to a 5-speed manual gearbox. Although this is a concept so far, the production version of the car is expected to look identical and will also get an automatic gearbox like on the Ford Aspire in India. On the inside, the Ford Ka Urban Warrior Concept gets an all black interior with the 6.5-inch touchscreen infotainment system that gets Apple CarPlay and Android Auto.